VESS was asked if we could help with this project which is producing 2 games for school children in Vanuatu. 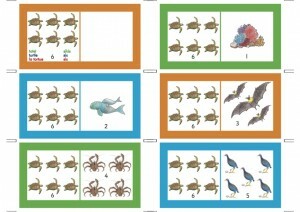 The games feature threatened species in Vanuatu and will be distributed to all pre-schools and primary schools in the country. VESS was asked to provide some information on the threatened species to go alongside the games so that teachers can teach the children about the threatened species whilst they are playing the games. Dr. Christina Shaw worked with the student conservation group she formed in 2015 to write the information for the games. The species are: marine turtles, corals, dugongs, flying foxes, Vanuatu megapode (scrub fowl), and coconut crabs.